We work to promote sustainable food and nutrition security. 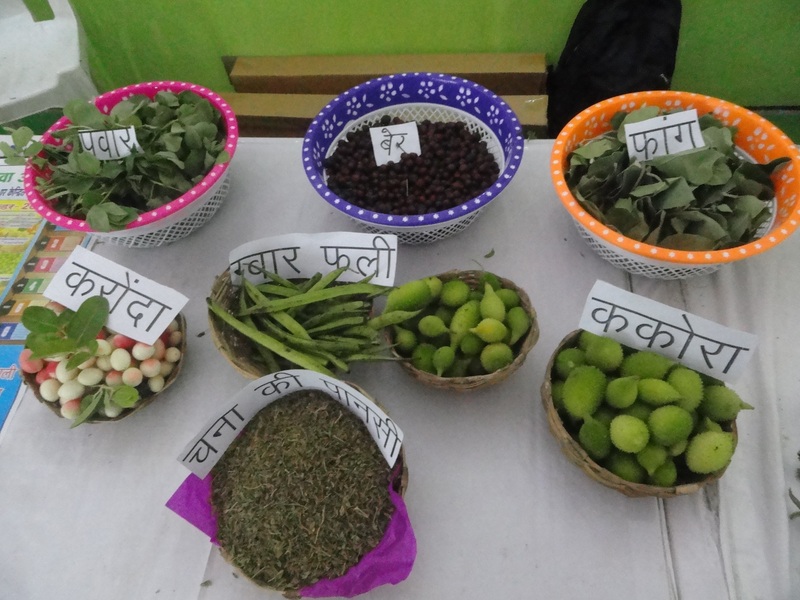 A state level workshop was held at Hotel Palash, Bhopal, to discuss the food and nutrition security programme’s progress on the 12th of April 2018. 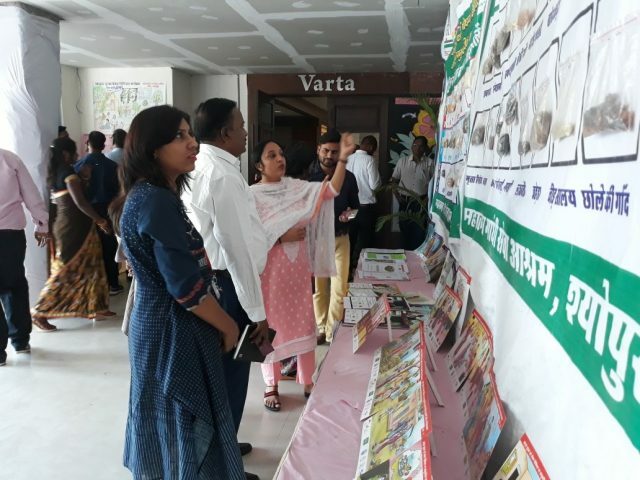 The event began with a brief introduction of the Food and Nutrition Security programme that is being implemented in Madhya Pradesh’s Sheopur and Chhatarpur districts. Welthungerhilfe’s Project Coordinator Pratibha Shrivastava informed the audience about the vision of the project and strategic activities being undertaken and accomplishments so far, which includes leadership development and capacity building of the Anganwadi Workers or AWW (Mother and Child Care Centre workers) on nutrition education following the PLA (Participatory Learning and Action) approach. “The project’s focus is also on improving communities’ access to food and nutrition entitlements,” Pratibha added. The Food and Nutrition Security programme is a part of Germany’s Federal Ministry for Economic Cooperation and Development (BMZ)’s One World – No Hunger’ initiative that aims to fight against hunger and malnutrition and is executed globally by Gesellschaft für Internationale Zusammenarbeit (GIZ). 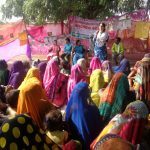 In Madhya Pradesh, in collaboration with GIZ, Welthungerhilfe is carrying out the project activities with the support of local partner NGOs: Darshna Mahila Kalyan Samiti and MGSA. Thursday’s workshop was organised to reflect on the project’s journey so far and to share the operational plan for the year 2018. Mr R.P. Ramanwal and Mrs Rajpal Kaur, Additional Directors, Directorate, ICDS, Department of Women and Child, Government of Madhya Pradesh chaired the meeting. Appreciating the activities being undertaken in the project, Mr Ramanwal said he was optimistic that this project would leave a strong impact at the ground level. Mrs Kaur praised the NGOs engagement, particularly in supporting families establish kitchen gardens and suggested to actively involve adolescent girls in such projects so that the learnings are transmitted to the next generation. The participants from MGSA and Darshna shared their insights from the AWWs leadership trainings which were aimed at imparting nutrition education using PLA tools women (15-49 years). 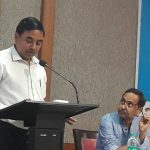 They spoke about their positive experiences on the nutrition garden initiative in 100 Villages as well as on citizens participation in monitoring ICDS, Mid-day Meal and PDS services using Community Score Cards. 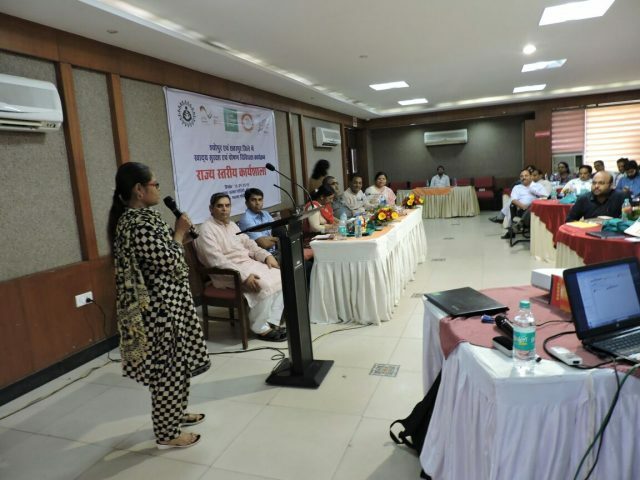 Neha Khara, the nutrition expert in GIZ’s Food and Nutrition Security Programme (FaNS) in Bhopal, spoke about the innovative multi-stakeholder approach the project has adopted and emphasised that the learning gained through the implementation could be replicated at a larger level. 47 people participated in the event. These included officials from various government departments such as Women and Child Department, Health, Horticulture, Animal Husbandry and Fisheries. 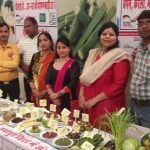 “It was encouraging to see that the officials from the allied departments have joined hands in the fight against hunger and want to work proactively,” said Pratibha Shrivastava. All the stakeholders have agreed to meet and share their ground-level experiences and learnings regularly in order to enhance the outreach. Till Dec ’17, altogether 2,970 Anganwadi Workers have joined the training on Participatory Learning and Action (PLA) for nutrition. The pre- and post- assessments show that there have been significant improvements in the knowledge level of the Anganwadi workers on care practices, and dietary diversity. The Anganwadi Workers used their knowledge through PLA facilitation to initiate behaviour change in their communities. The project has developed modules, focusing on nutrition education based on PLA techniques. 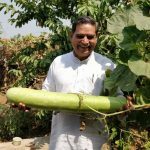 In the 100 focus villages through a collaboration with horticulture department, 4,161 families have set up nutrition gardens. 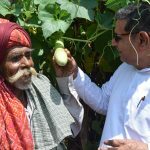 This has led to increased availability of vegetables throughout the year, leading to improved dietary diversity. The experience has also helped advocate for the importance of nutrition gardens at the district and state levels. The project has used Community Score Card as a tool for monitoring and evaluation, enabling the community members to assess service providers and to rate their services/performance using a grading system in the form of scores. The CSC has worked as an instrument to facilitate public accountability, especially at the local/facility level and through soliciting communities’ perceptions and feedback, it has contributed in working towards improving the quality and satisfaction of facilities and service providers.